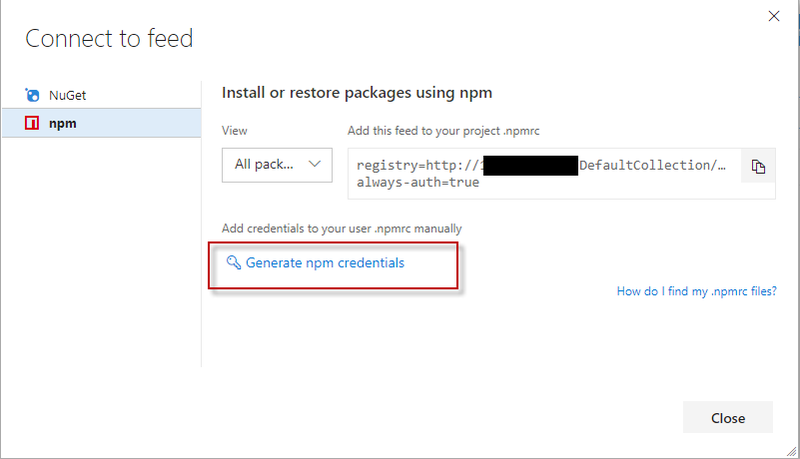 要稍微注意一下，本次分享的　npm 套件管理功能需要使用 最新版的 Visual Studio Team Services 或是 TFS 2017 Update 1 以上版本才有支援該功能. 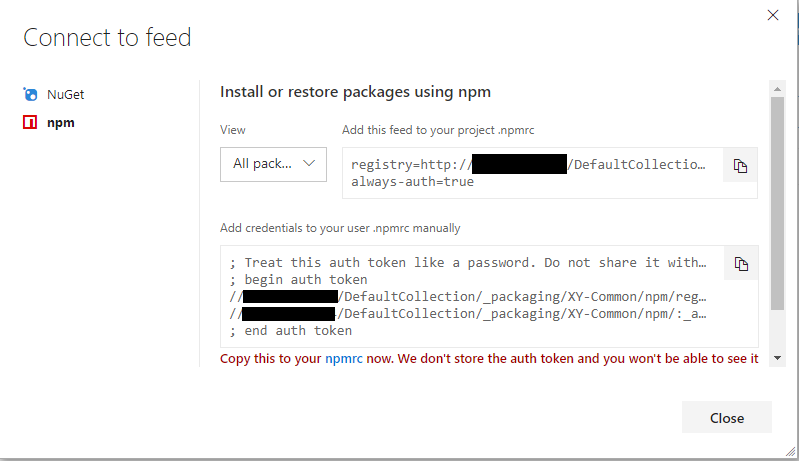 ; Treat this auth token like a password. Do not share it with anyone, including Microsoft support. This token expires on or before 11/5/2017.